air joe is proud to serve the La Grange Park community! We are proud to be a part of this community, serving your heating and air conditioning needs: air joe is listed in many directories under titles such as : La Grange Park Heating Contractors, La Grange Park Heating, La Grange Park Air Conditioning, Heating Repair, Air Conditioning Repair, La Grange Park Heating and Cooling Contractors, Rooftop HVAC Repair, Ductless AC Systems, Boiler Repair and La Grange Park Heating and Air Conditioning Contractors. We are here for you whether you need furnace or air conditioner repairs, heating and cooling estimates, equipment replacement or new installation of a furnace, air conditioner, heat pump, rooftop heating and cooling or comfort products to improve the air filtration for your home or business. 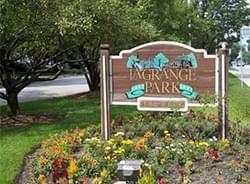 About La Grange Park, IL - Happy to be your hometown Heating & Air Conditioning Contractor! La Grange Park is an Illinois village located in Cook County, and as of 2010 the population was nearly 14,000. This community consists of 2.23 square miles of total area, all of which consists of land. La Grange Park is a far western suburb of Chicago, and it is located near Westchester, Berwyn, and Brookfield. La Grange Park is found within a humid continental climate zone, and while winters are snowy and cold, summers are humid and quite hot. The modest size of La Grange Park only allows for a few attractions within the village limits. There are many outdoor spaces located in this community, including Beach Oak Park and Robinhood Park. The Allen P. Zak Science Discovery Center is also located in La Grange Park. Shopping is also popular in this community, with notable attractions including 31st Street Antiques and the Jackson Square Mall. Other attractions are located in nearby communities, including the Frank Lloyd Wright Home and Studio, which is located in Oak Park.